ESEC 2014 was organized by e-frag.net & SENSEI Gaming. This Counter Strike CS:GO tournament was sponsored by HITBOX TV, MONSTER ENERGY DRINK, ASROCK and COOLER MASTER. There were 44 participating nations in this e-Sports European Championship (ESEC). Yes! That’s right, 44 nations and 400 players. Electronic Sports European Championship 2014 LAN FINALS held on 14-15 December 2014, at BelExpo Centre in Belgrade, Serbia. 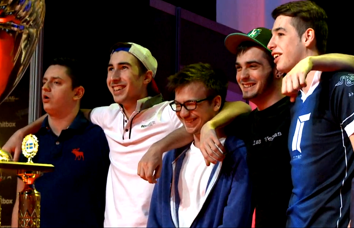 Finland, Sweden, France, and Poland succeeded through the competition and attended the LAN finals. This 4 team battled for the 1st, 2nd and 3rd position and won the prize money. 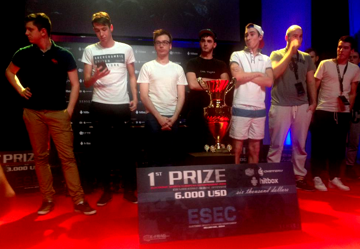 The Equipe de France CS: GO are the 2014 CS: GO European Champions! The Team France looks so happy together. France amazed everybody with the constant quality of their play against their opponents and took the first position. Finland and Sweden dropped to the Lower Bracket in the first round. However, France wins to Poland. But, Poland managed to defeat Sweden in the Lower Bracket and route to the grand final against France.